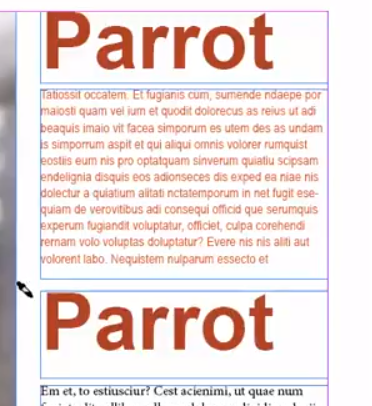 InDesign Eyedropper 3 quick tips that will change the way you work in InDesign! 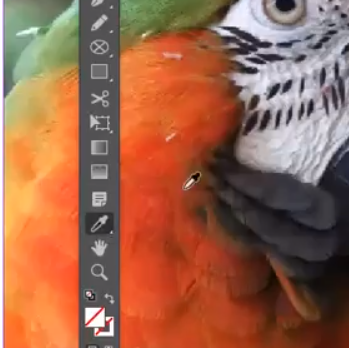 So you have probably all seen the eyedropper tool in Adobe InDesign, you may have even used it to sample a quick bit of colour from an image to add to your swatches panel but have you been using it to its full effect? Here I am going to show you 3 ways that you can use the eyedropper to its full potential, and I’m sure when you know them you will be using them every time you use Adobe InDesign! Ok so this is the easy one that most of you may have used, just simply choose the Eyedropper from the Adobe InDesign tool bar and click on any colour in an image or a graphic, this colour will now be in the fill colour of the tool bar and the swatches panel. Once you have the colour you require simply click on the menu items in the corner of your swatches panel and choose ‘New Colour Swatch’. The colour will now be added to your Swatches panel and available to use in any text or shapes that you have on your Adobe InDesign Page. So now we get on to a lesser known use! 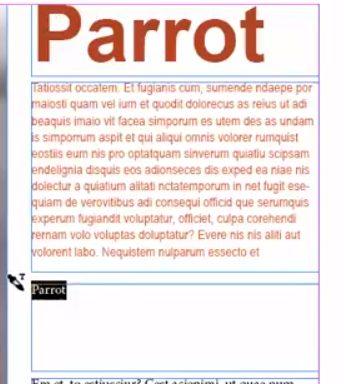 With the Adobe InDesign Eyedropper selected you can click on some formatted text on any InDesign page, when you do this the Eyedropper picks up all the text attributes. So now you have on the end of your cursor a tool that has the font, font size and font colour information sat waiting for you to use. All you need to do now is highlight a new bit of text that you would like to have exactly the same formatting as the original text and hey presto the text matches! 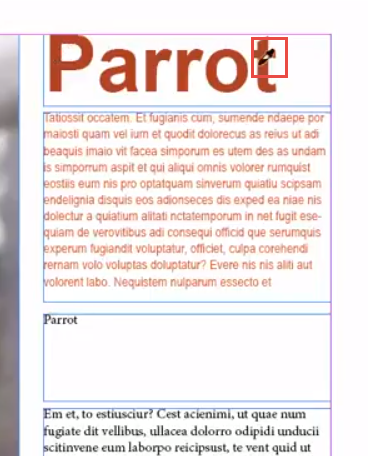 Just underneath the eyedropper tool in Adobe InDesign ther is another tool called the Colour theme Tool, with this tool you can click anywhere on an image or a graphic and it will bring up a small floating palette with a colour theme based on the image or graphic that you clicked on! If you now click on the small arrow to the right of the colour blocks you will see some more options appear underneath this theme, colourful, bright, dark, deep and muted. So instantly you have some colours that will work and compliment your image that you can use for surrounding graphics and text! 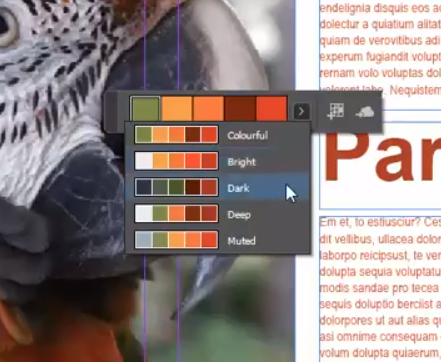 To add these colour themes to your Swatches panel all you do is click the button with the small + next to the colour theme and your Adobe InDesign Swatches panel will then have this colour theme added in its own colour group. 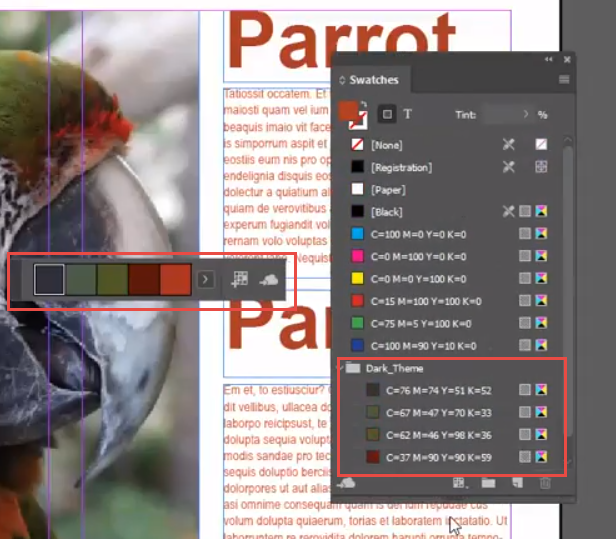 Are you looking to learn about more of the great features in Adobe InDesign? At Creative studios in Derby we have a number of Adobe Training Courses for all levels of ability and need. With InDesign for beginners we have two main courses. Our first course is a one day Adobe InDesign bootcamp, this will cover all the layout aspects of Adobe InDesign, starting frm the very beginning we will get you up to speed quickly and give you confidence that when you leave you can create your own marketing material in Adobe InDesign. The second course is a two day Adobe InDesign course that covers all that is covered in the one day course but on the second day we look at all the exciting interactive features that we can add to our PDFs through Adobe InDesign. We also have an online InDesign course that you can follow along at your own pace in your own time. Everyone that attends the classroom based Adobe InDesign courses will receive 3 months access to the online course and 6 months support from the tutor for any problems they come up against after the course.